I think one of the bigger compliments a photographer can get is “I recognised this as one of your pictures the moment I saw it”. It means you’ve created your own style, which I see as a big compliment. For the interview I gave for being the Photographer of the month on the Dutch website Nederpix, I was asked what my pictures characterises. I think the space I like to place around my subjects is quite characteristic for most of my pictures. I don’t really like real close ups (even though I do make them sometimes of course). Sometimes the space is just a more or less clean background (as in many of my dragonfly pictures), but often it shows something of the habitat of the subject. 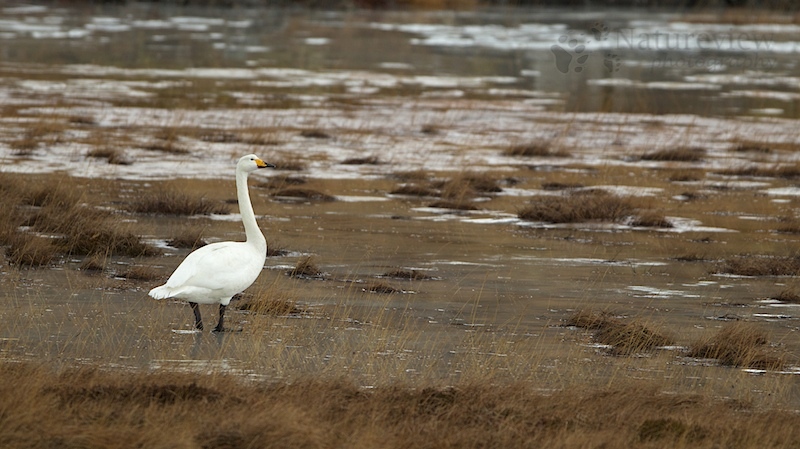 In this case the Whooper Swan standing on ice on a frozen tundra. For me this tells a lot more about the bird as just a close up. Here you can find the full interview, with several of my best pictures (unfortunately in Dutch only).